In his newest and most distinctive novel, Stephen J. Cannell channels his insider experiences into a tautly drawn noir look at the materialistic Hollywood lifestyle. Meet Chick Best-a middle-aged, selfabsorbed, disaffected, California dot.com millionaire. Other than his house and high-priced foreign cars, Chick’s most expensive possession is his trophy wife, Evelyn. Evelyn is good at spending Chick’s money, money that has pretty much run out. Another problem is his drug-addled sixteen-year-old daughter, Melissa. Though concerned about his life and family, Chick has resigned himself to a miserable state of acceptance. That is, until he, Evelyn, and Melissa take a Christmas vacation in Maui. With this, Chick’s life changes… Chick experiences unrequited love at first sight when he observes Paige Ellis emerging from the hotel swimming pool. His obsession, exceeded only by his need to possess her, isn’t diminished when he learns that she is happily married. Instead, he befriends Paige and her near-perfect husband, Chandler. A short time later, back from Hawaii, Chick’s obsession compels him to drive to Paige’s house, where he runs down and kills Chandler in a drugstore parking lot. But this is just the beginning of Chick’s nightmare as his life spirals homicidally out of control, resulting in the destruction of everything he holds dear. Will Paige learn the truth about Chick before it’s too late? Fast paced, filled with wry humor, murder, lust, and dead-on L.A. characterizations, Cannell has written his most explosively saleable novel yet. "First-class all the way: first class writing, first-class characters, first-class suspense. Stephen J. Cannell tries something really different here and it works from start to finish. Original, insightful, scary and, at times, very funny. This is the way it should be done." "At First Sight is a suspenseful, horrifying, yet slyly funny book. 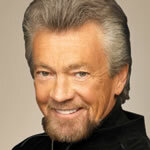 Stephen J. Cannell has written a perfect snapshot of contemporary America." Stephen J. Cannell is the bestselling author of twelve novels, including the critically acclaimed Shane Scully series, which includes White Sister , Cold Hit , and Three Shirt Deal . In addition, Cannell is the author of Runaway Heart , The Devil’s Workshop , Riding the Snake , King Con , Final Victim , and The Plan . In a highly successful career that spans three decades, Cannell has created or co-created more than forty television shows, including “The Rockford Files,” “Greatest American Hero,” “The A-Team,” “Hunter,” “Riptide,” “Hardcastle & McCormick,” “21 Jump Street,” “Wiseguy,” “The Commish,” “Profit,” and the hit syndicated shows, “Renegade” and “Silk Stalkings.” During the past few years, Cannell has received numerous awards, including the Saturn Award Life Career Award (2005), the Marlow Lifetime Achievement Award from Mystery Writers of America (2005), and the Writers Guild of America Paddy Chayefsky Laurel Award for Television Writing Achievement (2006). He lives in the Los Angeles area with his wife, Marcia, and their three children.